It’s been rumored for a while that Hyundai is working on its first dedicated hybrid – and the automaker recently released the first teaser of the new model, dubbed the IONIQ. Rather than just offering a hybrid powertrain, the IONIQ will be offered with three electrified powertrains: full electric, plug-in hybrid and hybrid. When the IONIQ arrives next year, it will be the first vehicle from any manufacturer to offer customers these three powertrain options in a single body type. The IONIQ will be based on an all-new platform that has been optimized for the electric powertrains. Hyundai hasn’t released any official specs, but the full-electric version will use a new high capacity, lithium ion battery, while the plug-in hybrid version combines fuel-efficient energy with battery power obtained by charging the car with electricity, boosting its range while cutting its emissions. The hybrid version utilizes the gasoline engine and motion of the car to charge the on-board battery. 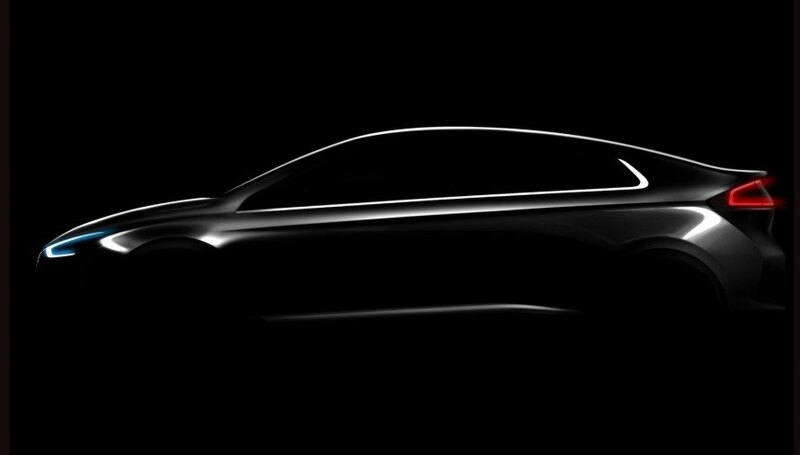 Even though Hyundai has only released this single teaser photo of the IONIQ, we won’t have to wait too long to see it, since Hyundai will reveal the IONIQ in Korea in January. It will have its U.S. debut at the 2016 New York Auto Show in March 2016. It's been rumored for a while that Hyundai is working on its first dedicated hybrid and now it has released the first teaser of the model, dubbed the IONIQ.